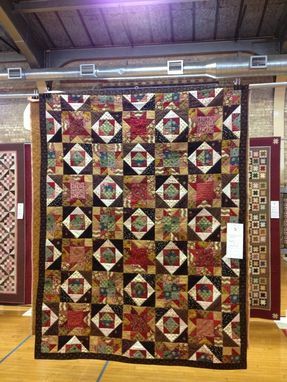 This quilt was made using Civil War reproduction fabrics in the traditional Christmas colors of red and green, with a lot of black and cream thrown in. It was made to commemorate our move from an urban loft to a house on a half acre in the suburbs. I was "in the country" now, so I made a old-fashioned country quilt. It was inspired by a pattern I saw in a magazine, and made with 100% cotton fabric, batting and threads. 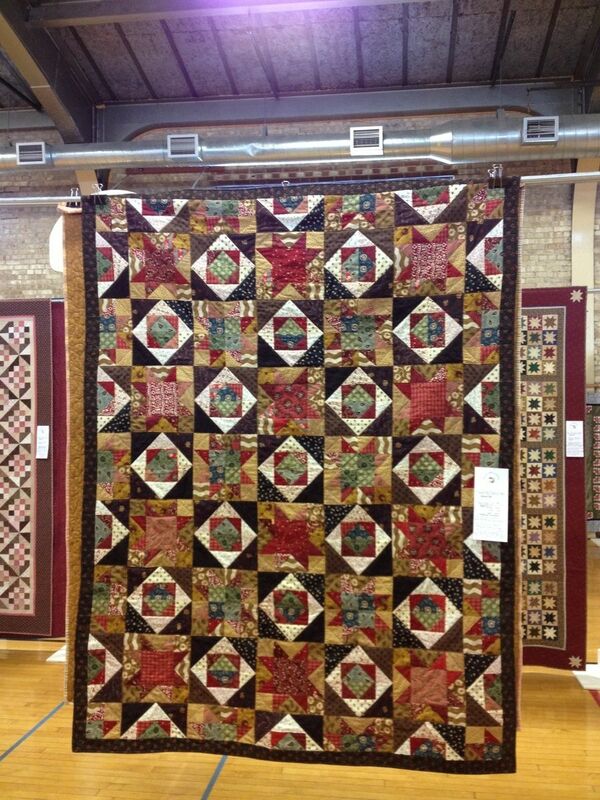 Quilted in a parallel line pattern. Size approx. 70x80 inches.